These castings are not pickled. They each cast beautifully and any I think one of them is superior to traditional sterling silver. The Argentium and the Sterlium seem to be more firescale resistant than the Continuum. The Argentium and the Sterlium are very white. The downside of Sterlium for me is the lack of fusing ability. The Sterlium will NOT fuse while the Argentium fuses like a dream. I am able to cast something in sections, fuse them together then granulate. 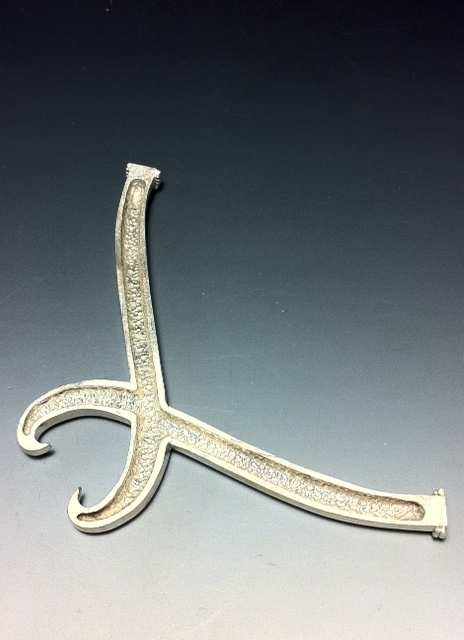 Casting in Argentium Pro 935 by a student at JSI done in two sections, then fused together. One of the advantages of Argentium is the ability to fuse. Because the pieces were fused together rather than soldering, there will never be a seam visible! And the piece can then be granulated since there is no solder used. I have not use Argentium, Sterlium and Continuum only regular .925 alloy Silver and copper; I will try to see the results on cuttlefish bone casting and sand. 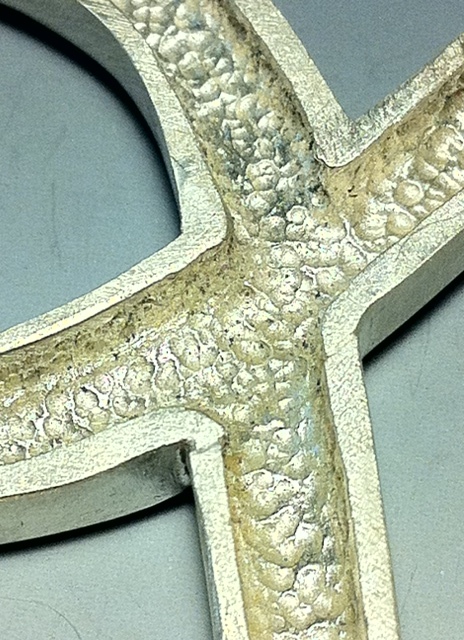 I see that you used lost wax casting in your test. 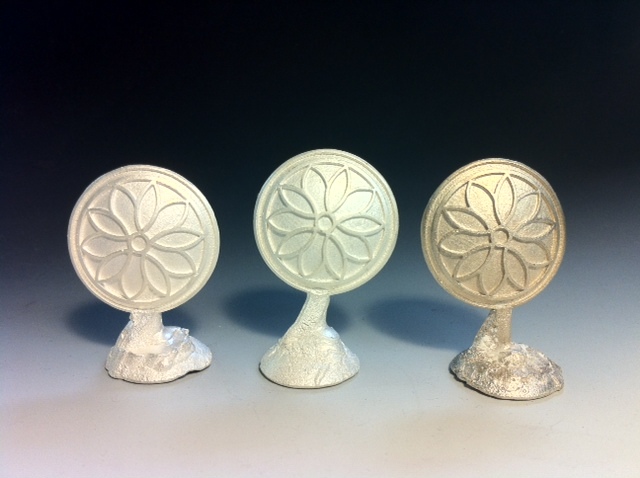 You can see the techniques of cuttle fish casting and sand casting in my blog. Can you do a test share the result? Happy Holidays to you and your students! Attentively Hector Lopez. Wish I had photos of the recent Argentium castings into tufa stone. They came out beautifully.